Ministers today insisted the ISIS 'Beatles' are not British any more amid a major row over the UK refusing to seek assurances they will not be executed in the US. And Prime Minister Theresa May now says she backed the decision not to get death penalty assurances from Washington rarely then merely being 'made aware' of it. When asked if Mrs May approved of the Home Secretary Sajid Javid's decision, a Downing Street spokeswoman initially said she 'made aware' of it and the Government opposes the death penalty 'in all circumstances as a matter of principle'. Number 10 later moved, saying Mrs May 'supports' the Home Secretary's handling of the case and hopes it will end with the two men remaining in prison for the rest of their lives. 'The ultimate aim for all of us in our discussions with the US is to make sure that these men face the rest of their lives in prison. That is also what the victims' families want,' said the Downing Street spokeswoman. The spokesman added: 'In this instance, after careful and considered advice, the Government took the decision not to seek assurances. That was deemed by ministers to be appropriate. Security minister Ben Wallace sparked anger in the Commons by telling MPs that seeking the death penalty 'might get in the way' of justice. He confirmed for the first time that the notorious jihadis captured in Syria have been stripped of citizenship. He also dismissed concerns that the pair - Alexanda Kotey and Shafee El-Sheikh - are being illegally 'rendered' with approval from the UK authorities, saying they would have the benefit of the 'rule of law and due process' in America. Mr Wallace told the Commons the 'reality' was that Britain did not have enough evidence to try the jihadis in this country, and there was a better chance of them being brought to justice in the US. 'We thought the best place was the United States,' he said. 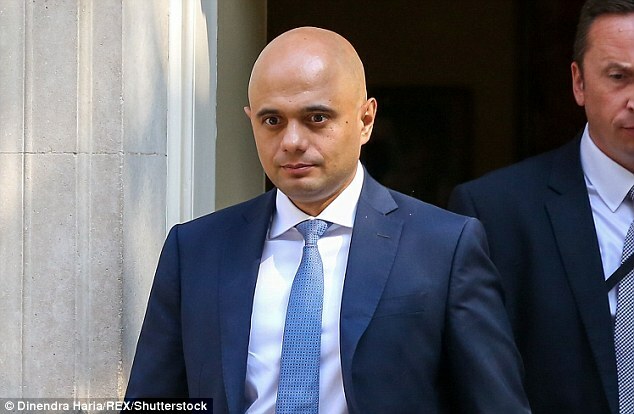 The staunch defence of the government's position came as Home Secretary Sajid Javid faced a major backlash for telling the US he would not seek guarantees that the notorious jihadis will be spared execution. A leaked letter from Mr Javid to US Attorney General Jeff Sessions suggested Britain was ready to share intelligence so the pair - can be prosecuted under American laws. The commitments, made last month according to the Daily Telegraph, drew accusations that Mr Javid had 'unilaterally' scrapped Britain's opposition to the death penalty and torture camp Guantanamo Bay. Downing Street initially offered only lukewarm support for the move this morning - but this afternoon the PM's spokeswoman made clear she supported the stance. 'The ultimate aim for all of us is to make sure these men face the rest of their lives in prison. That is also what the victims' families want,' the spokeswoman said. 'In this instance after careful and considered advice the Government took the decision not to seek assurances, that was deemed by ministers to be appropriate. The 'Beatles' pair – nicknamed after the British band because of their English accents - were involved in jihadist activity and became one of the Islamic State's most notorious terrorist silos. They were led by the infamous Jihadi John – also English - whose real name was Mohammed Emwazi and was killed by a drone strike in Syria three years ago. The terrorist group was behind the murder US journalists James Foley and Steven Sotloff, British aid workers David Haines and Alan Henning and aid worker and Iraq war veteran Peter Kassig. More than 100 terror suspects were stripped of their British citizenship last year, the Home Office has revealed. A report on the UK authorities' use of counter-terrorism powers showed a sharp rise in the number of people deprived of the status, a move intended to stop potential terrorists returning to the UK. In 2017 a total of 104 people were deprived of British citizenship on the grounds the move was 'conducive to the public good'. This was up from 14 the previous year. The report also revealed that powers to refuse a passport application or remove an existing UK passport were used on 14 people in 2017, down from 17 in 2016. These are aimed at those suspected of planning to travel abroad as part of terrorist plots, who might then return to the UK to do harm. Another 26 people were excluded from the UK on national security grounds. The previous year 30 people were excluded from the UK, including 20 on national security grounds. The Government can also issue temporary exclusion orders, which make it illegal for a terror suspect to return to the UK without engaging with UK authorities. These were used nine times in 2017. Kotey and Shafee El-Sheikh were captured in January earlier this year as they attempted to flee, and are being held by the US-backed Syrian Defence Force. In March they were spoke to journalists from where they are being detained in northern Syria and complained that the 'illegal' withdrawal of their UK citizenship put them at risk of 'rendition and torture'. In his letter to Mr Sessions, dated June 22, Mr Javid wrote that the UK will not need 'assurances' that the pair will avoid the death penalty. 'I am of the view that there are strong reasons for not requiring a death penalty assurance in this specific case, so no such assurances will be sought,' he wrote. 'Intelligence' garnered by the Metropolitan police and the FBI show that security agencies have been investigating the Beatles for four years as part of a criminal inquiry involving 14 other countries. Mr Javid wrote that 'kidnap and murder' were among the crimes being looked into and suggested that the UK's Crown Prosecution Service might not be able to deal with the pair effectively under current legislation. He wrote: 'Ensuring foreign fighters face justice raises a real challenge for all our jurisdictions, however in this instance we believe that a successful federal prosecution in the US is more likely to be possible because of differences in your statute book and the restrictions on challenges to the route by which defendants appear in US courts. 'We're not talking about UK citizens,' he said. He was quizzed from all sides of the chamber as he sought to explain the decision. Labour former minister Yvette Cooper, who chairs the Commons home affairs committee, accused ministers of 'ripping up' the UK's principles. She said: 'The whole House would agree that those who commit barbaric crimes should be locked away for the rest of their lives, but what the minister has said today is a contradiction of the longstanding abolition of the death penalty strategy. Mr Wallace was also forced to defend the decision to his own backbenchers - with Tory former attorney general Dominic Grieve telling MPs the decision represented a 'major departure from normal policy'. Mr Wallace said ministers have complied with the European Convention on Human Rights and due process. But shadow attorney general Baroness Chakrabarti said: 'Sajid Javid appears to have secretly and unilaterally abandoned Britain's opposition to the death penalty. By doing so he is not just playing with the lives of these particular terrorists but those of other Britons - including potentially innocent ones - all over the world. Lord Carlile, a former independent reviewer of terrorism legislation and Lib Dem MP, said a 'decades old' policy was being ditched. 'It is a dramatic change of policy by a minister, secretly, without any discussion in parliament,' he said. 'It flies in the face of what has been said repeatedly and recently by the Home Office - including when Theresa May was home secretary - and very recently by the highly-respected security Minister Ben Wallace. Mr Foley's mother, Diane, said she was opposed to the death penalty, warning it would make the two men 'martyrs in their twisted ideology'. 'I would like them held accountable by being sent to prison for the rest of their lives,' she told BBC Radio 4's Today programme. Although the letter from Mr Javid does not mention Guantanamo Bay, another note from the same day obtained by the Telegraph was headed 'official sensitive' and read that UK ministers had shared information 'without seeking death penalty assurances'. Under a section headed 'Guantanamo Bay', it read: 'If the US deems a federal prosecution not possible, they might seek transfer of Kotey and El-Sheikh to Guantanamo Bay (GTMO). 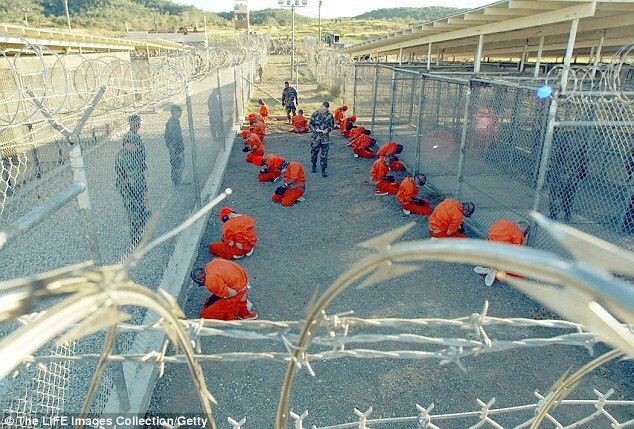 'Although HMG 'Her Majesty's Government' will not lobby the US to not send them to GTMO, we will maintain our long-standing position that GTMO should close. Among some of the most deplorable acts carried out by the hit gang were slaughtering journalists, aid workers and holding Westerners hostage. 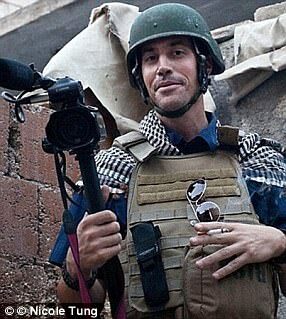 They murdered two US journalists James Foley and Steven Sotloff, British aid workers David Haines and Alan Henning and aid worker and Iraq war veteran Peter Kassig. In 2014 and 2015 they held and tortured 20 hostages. The Beatles pair were captured in January earlier this year as they attempted to flee anti-Islamic State. The Home Office would not comment on the leaked documents and reiterated its position on the detention facility. A Home Office spokeman said: 'We continue to engage with the US Government on this issue, as we do on a range of national security issues and in the context of our joint determination to tackle international terrorism and combat violent extremism. I am writing to follow up on our meeting on May 30 in which we discussed the issue of detained foreign terrorist fighters, specifically Alexanda Kotey and Shafee El-Sheikh. I would like to express from the outset my gratitude to the Department of Justice and the FBI for their assistance to date. I would also like to thank you for your time. These are important issues and we are united in our commitment to bring people who commit these crimes to justice. The UK's aim is for these individuals to face justice in the most appropriate jurisdiction which maximises our collective chances of a successful prosecution. To this end the (operationally independent) Counter Terrorism Command of the Metropolitan Police (SO15) and Crown Prosecution Service (CPS), have been engaged in a dispassionate assessment of the evidence available and likelihood of prosecution in the UK. In parallel, our investigators have also been working with the FBI to explore the likelihood of prosecution in the US or other jurisdictions. We consider the two individuals, Alexanda Kotey and Shafee El- Sheikh, distinct from the broader strategic issue of detained foreign terrorist fighters for three reasons. Firstly, there is intelligence implicating these two individuals in the kidnap and murder of a number of individuals, including three American and two British citizens. Secondly, these individuals have a significantly higher profile than other detainees in Syria due to their crimes, and will be held up as an example of how we treat and deal with alleged Isis fighters. Thirdly, we need to deliver justice for the victims' relatives who have been vocal in their demands that both detainees face the rest of their lives in prison, following a fair and transparent trial. SO15 have engaged extensively on this case with the FBI to understand both the US and UK evidential cases, pursuing various lines of inquiry. Their investigation into Kotey and El-Sheikh has been running for over four years, during which time they have engaged with 14 other countries and compiled over 600 witness statements. The UK does not currently intend to request, nor actively encourage, the transfer of Kotey and El-Sheikh to the UK to support a future UK-based prosecution. I do understand your frustration on this subject, and in order to improve the chances of prosecution in other cases in the future, we in the UK are introducing new legislation to improve the range of offences on the statute book going forward to deal with the scourge of foreign fighters. Ensuring foreign fighters face justice raises a real challenge for all our jurisdictions, however in this instance we believe that a successful federal prosecution in the US is more likely to be possible because of differences in your statute book and the restrictions on challenges to the route by which defendants appear in US courts. The US currently has additional charges for terrorism offences which are not available under UK criminal law, and those offences carry long sentences. We are therefore committed to assisting the US with a federal prosecution of Alexanda Kotey and Shafee El-Sheikh, and after careful consideration I have decided to accede to your current request for Mutual Legal Assistance which is with the UK Central Authority. All assistance and material will be provided on the condition that it may only be used for the purpose sought in that request, namely a federal criminal investigation or prosecution. Furthermore, I am of the view that there are strong reasons for not requiring a death penalty assurance in this specific case, so no such assurances will be sought. I have instructed my officials to set out the terms of our assistance and to work with your officials to action the request. As you are aware, it is the long held position of the UK to seek death penalty assurances, and our decision in this case does not reflect a change in our policy on assistance in US death penalty cases generally, nor the UK Government's stance on the global abolition of the death penalty. I look forward to working with you further on this issue. Kuwaiti born Mohammed Emwazi, became the most reviled man in the world as ISIS's most notorious executioner Jihadi John. Neighbours remember a polite, quiet boy who supported Manchester United, wore 'Western clothing' and played football on the affluent streets of west London. He became more religious after moving to Quintin Kynaston Community Academy, a secondary school in St John's Wood, in 1999. The university has since been linked with several proponents of radical Islam - and Emwazi appeared to have fallen under their sway. The knife-wielding killer - dubbed 'Jihadi John' - beheaded hostages, including British aid workers David Haines and Alan Henning, on camera. Alexanda Kotey, said to be a fan of Queens Park Rangers, was once described by neighbours as a 'polite' boy. They added: 'The way he secretly operated he was a roadman, a gangster. 'He had the skills of influencing people he could see as influential or vulnerable so they could bring their friends in. 'They would have used the same tactics as gangs to recruit people. Like grooming, he gave them a sense of belonging. 'They couldn't get job or uni course they wanted. 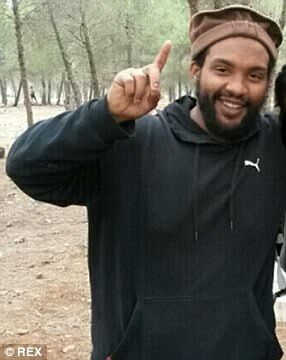 Father-of-two Kotey, who is half Ghanaian, half Greek Cypriot, is believed to have been one of ISIS' key recruiters and helped them radicalise young men from London. A local community worker said the trio were 'physically ejected' from the mosque because of their extremist views. They said 'He would definitely be standing there with, I'd say a dozen boys all listening to him. He was the speaker. He was the spokesman in that little group. Described as a 'kind and softly spoken' former fairground mechanic, from west London, he turned into a ISIS extremist who was part of the gang that beheaded 27 hostages and tortured many more in Syria. He later travelled to Syria in 2012 to fight his holy war, and his younger brother Mahmoud followed him - and was killed fighting in Iraq last year. Elsheikh's identity was confirmed by a former US counter-terrorism official and investigators working to find The Beatles. Both of his parents had fled the civil war in Sudan in the 1990s - where they were both members of the Communist Party - but the father, a poet, left the family when Elsheikh was just seven years old. They grew up a few miles from the first of the infamous Beatles group to be exposed, Mohammed Emwazi - who later became known as Jihadi John but was killed in a drone strike in 2015. The fourth so called 'Beatle', Aine Davis, originally from Hammersmith, travelled to Syria to become an ISIS guard. Davis' new found interest in religion led him to persuade his girlfriend that they should move to Yemen. 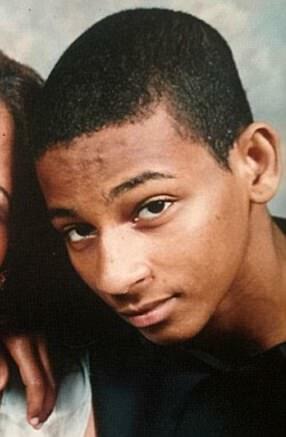 When police raided his wife's home, Davis's iPod revealed he used to listen to lectures by radical American cleric Anwar al-Awlaki. James Foley, from Illinois, in the US, was a journalist who first went missing in November 2012. On his way to an internet cafe, while reporting for the GlobalPost, he had been taken hostage at gunpoint by militants from the group Jabhat al Nusra in Taftanaz, northern Syria. Jabhat al Nusra subsequently joined forces with ISIS - which did not exist in anything like its current form when Mr Foley was taken. Mr Foley joined other prisoners, who were European and British, in the ISIS prison and despite attempts to rescue him, he was eventually murdered by his captors. His fellow prisoners spoke kindly of Foley, who called people 'Bro' and never argued over shortages of food, despite meagre rations equating to cup of food-a-day, often sharing his portion and his blanket. Mr Foley often made efforts to maintain prisoners' morale, persuading them to play games and to give talks on their favourite subjects. He even organised a 'Secret Santa' during Christmas 2013, encouraging hostages to make gifts out of whatever they could find. ISIS posted his execution video, titled 'A Message to America' to social media as proof of his death. In scripted remarks before his killing, kneeling in an orange jump suit, he said: 'I wish I could have the hope of freedom and seeing my family once again. 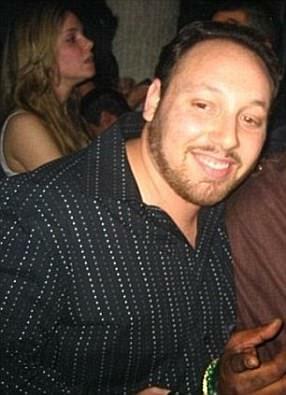 US journalist Steven Sotloff, 31, vanished in Syria in August 2013. Mr Sotloff was not seen again until he appeared in a video released online by ISIS on August 2014, that showed James Foley's beheading. In a second clip, published weeks later, entitled 'A Second Message to America,' Mr Sotloff appeared in a orange jumpsuit before he is beheaded by an Islamic State fighter. The grandson of Holocaust survivors, Mr Sotloff grew up Miami, before attending the Kimball Union Academy boarding school in New Hampshire before studying at the University of Central Florida. While at Kimball, Mr Sotloff was an avid rugby player and on moving to UFC began working for the student newspaper there, the Central Florida Future. He left this paper in 2005 and began to pursue his dreams of journalism full time. 'The guy lit up a room. He was always such a loyal, caring and good friend to us,' former roommate Josh Polsky told the New York Times. Sotloff travelled to the Middle East as a freelance journalist and wrote reports from Bahrain, Egypt, Libya, Turkey and Syria. He often had pieces in Time and Foreign Policy magazines. 'A million people could have told him what he was doing was foolish, as it seemed to us outsiders looking in, but to him it was what he loved to do and you weren't going to stop him,' his friend, Emerson Lotzia, said. 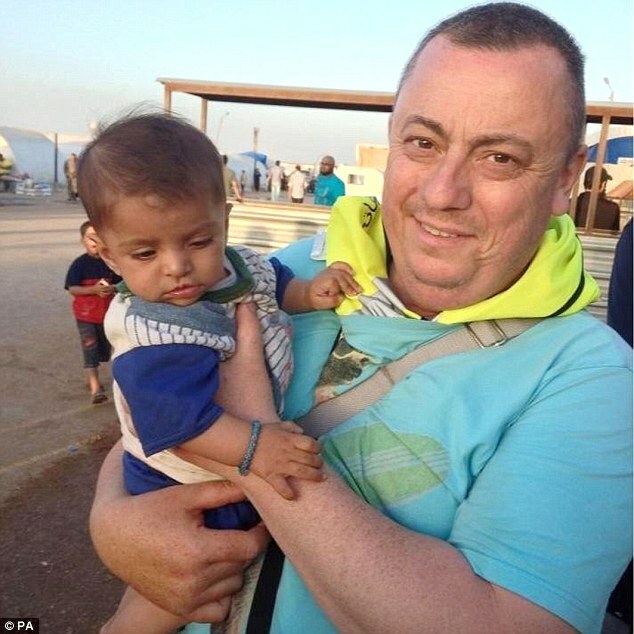 Alan Henning, a father-of-two, was kidnapped on Boxing Day 2013 as he delivered aid to Syrian refugees. The taxi-driver, from Manchester, was kept hostage until he was beheaded by Jihadi John on video in October 2014. Before he was killed, Mr Henning was forced to tell the camera that he was being murdered in retaliation for parliament's decision to attack ISIS. Originally from Salford, he had seen the suffering first hand during a life-changing visit to a refugee camp, which inspired him to help the innocents whose lives were being wrecked by the conflict. After volunteering with a Muslim charity, the 47-year-old agreed to drive 3,000 miles in a convoy of old ambulances to help the aid effort and take much-needed medical supplies to hospitals in the northern Syrian province of Idlib. Known as 'Gadget' to friends and family for his fondness for technology, Mr Henning had been washing cars in the UK to raise money for donations before setting off on his fourth visit to the country. He travelled with eight others from charity Al-Fathiha Global, who intended to deliver vital equipment, including NHS ambulances packed with baby milk, nappies, food and defibrillators, but was kidnapped by ISIS extremists on Boxing Day, shortly after making the 4,000-mile journey to the town of Al-Dana. A fan of Phil Collins, which he enjoyed playing as he drove, Mr Henning was incredibly popular and during one trip insisted on sleeping inside his ambulance instead of a hotel to save money so it could be donated to the refugees instead. 'He's such a compassionate and selfless human being,' she said. 'It just simply wasn't enough for Alan to sit back and just donate or raise awareness. 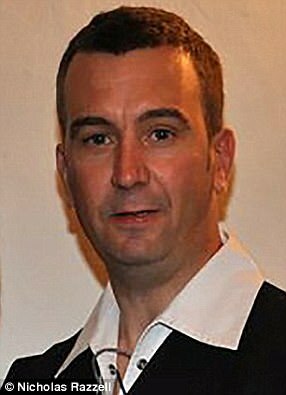 David Haines, who was beheaded a week after Steven Sotloff, was the first British victim of Jihadi John. The father-of-two, from Holderness, East Yorkshire, was taken hostage while working for relief agency ACTED in Syria in March this year. He was captured near the Atmeh refugee camp, just inside the Syrian border with Turkey. Mr Haines spent his career as an aid worker helping to protect innocent civilians in developing nations. For more than two decades, he travelled with aid agencies through Syria, Libya, the former Yugoslavia and South Sudan. He dedicated his life to promoting peace in places of violent conflict and oversaw projects to save civilians from land mines. The 44-year-old was described as a hero by his family, who were inspired by him to travel the world on further aid missions. He had a teenage daughter in Scotland from a previous marriage with his first wife, and a four-year-old daughter, Athea, in Croatia from his second wife. Mr Haines was brought up in Perth, Scotland, and studied at Perth Academy before joining the military aged 17. According to his online CV he spent 11 years in the military, holding 'various positions covering security and threat assessments in a number of different countries' between 1988 and 1999. It did not specify with which armed forces he served, although his ISIS execution video claimed he had been in the Royal Air Force. His brother Mike later confirmed this, saying he was an engineer. Peter Kassig, a 26-year-old from Indiana, started a non-profit organisation called Special Emergency Response and Assistance (SERA). The Iraq war veteran, who was living in Beirut to provide relief for refugees of the Syrian crisis, was beheaded by ISIS executioner Jihadi John, in November 2014. Writing on his profile page on fundraising website FundRazr, Mr Kassig said he had previously worked as a medic in a hospital in Tripoli, Lebanon. He said: 'When I first started this cause to help those in need, I was on my own but I saw first-hand the shortages in available resources and supplies for people who were suffering in Lebanon, Syria, and Turkey as a result of the violence. Kassig joined the U.S. Army Rangers in 2006 and was deployed to Iraq in 2007. He was honourably discharged for medical reasons after a brief tour and returned to the United States to study political science. However, in 2010, he decided to take time off from his studies and began his certification as an emergency medical technician. He then decided to travel to Beirut to try and help those in need as a result of the Syria crisis. It was after a short time in the country that he started up his own aid group, SERA.